MM is proud to announce the following accomplishments that took place during the calendar year 2016. We hope that all of our customers, partners, and regulatory agencies have a wonderful holiday season and look forward to seeing you in 2017! 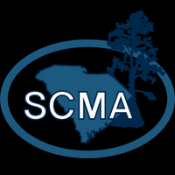 Provided compensatory mitigation solutions to over 100 projects in 13 service areas across Georgia. MM was also proud to be the primary mitigation provider for two pipeline projects in 2016: the Sabal Trail pipeline in Southwest Georgia and the Dalton Expansion pipeline in Northwest Georgia. Successfully completed final monitoring requirements and achieved final performance standards on two compensatory mitigation banks. Was selected as part of a team to provide compensatory mitigation for the Georgia Alabama Land Trust ILF Program in the Withlacoochee basin in connection with the Tired Creek Reservoir in Grady County. MM is acting as the agent and lead ecologist for the proposed Jackson Farms ILF Project. Other team members include Jackson Farms Holdings, LLC (the mitigation site landowner) and Ecosystem Planning and Restoration as the lead stream designer. This project is the largest stream restoration effort ever to be undertaken by an ILF Program in the Savannah District. Completed implementation of the Etowah River Road Mitigation Bank (ERRMB) in Dawson County, GA. The ERRMB will result in the restoration and protection of over 160 acres of critical habitat, wetlands, and riparian buffers of the Etowah River and its tributaries. The project will also result in over 6,300 linear feet of stream restoration and 60,000 tree plantings. Drone footage of the bank site following completion of construction can be viewed by clicking here. In January 2017, Trey Evans and Matt Peevy will be celebrating their 10th year in mitigation banking. Trey and Matt co-founded Mitigation Resource Group, which sponsors 14 mitigation projects in Georgia, in January 2007.